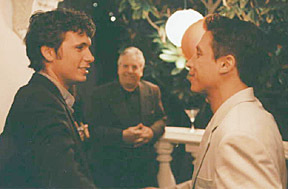 Jeremy Sisto is "Alex Harty", a young filmmaker who, unable to cope with the death of his wife, has not lived up to his career hype. When a pitch meeting with a producer pushes him over the edge, he stabs the obnoxious producer in the hand with a pen, and abruptly heads to his hometown of San Francisco to reassess his life. 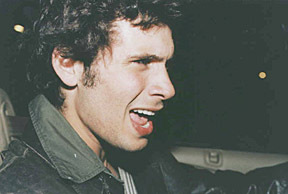 Sisto made his feature film debut in Lawrence Kasdan's Grand Canyon. He has since moved on to play a wide variety of roles in films including: White Squall with Jeff Bridges, The Hideaway with Jeff Goldblum and Christine Lati, and Moonlight & Valentino with Gwyneth Paltrow. He starred opposite Alicia Silverstone in Clueless as Elton, the hip man on campus, and starred as a morphine addicted medical student in Suicide Kings with Christopher Walken and Denis Leary. After portraying Olympic athlete, Frank Shorter, in Robert Towne's Without Limits he played a radical fire-bomber in the NBC miniseries "The 60's." Sisto can next be seen in the title role of the miniseries "Jesus" with Gary Oldman and Jaqueline Bisset.